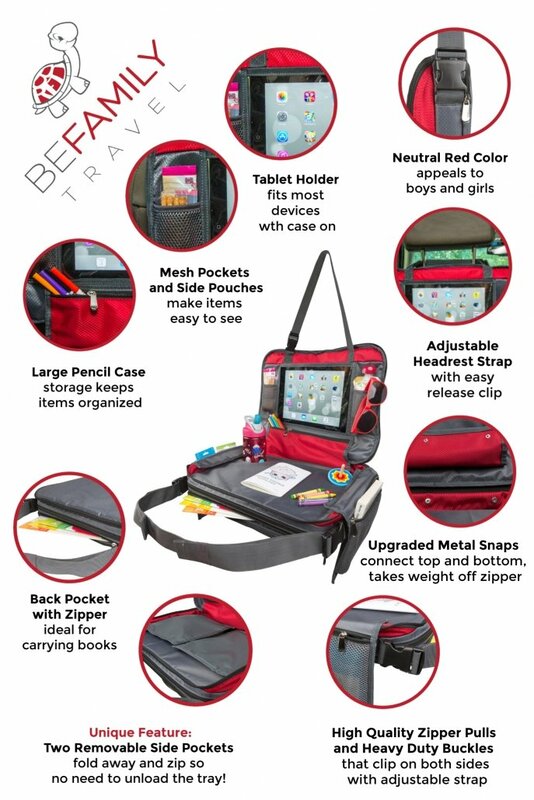 CLICK HERE TO BUY YOUR BE FAMILY TRAVEL TRAY TODAY! At BE FAMILY Travel we create products that simplify family travel. The largest challenge for kids on a car ride, we find is boredom. They are strapped in to a seat and can only hold a couple small things at a time. As a result they don’t really have a flat place to build Legos, color, drive their cars around, or playing pretend with their dolls. Where do they put a snack cup without it turning over for instance? Our family found a kids travel lap tray online a few years ago. 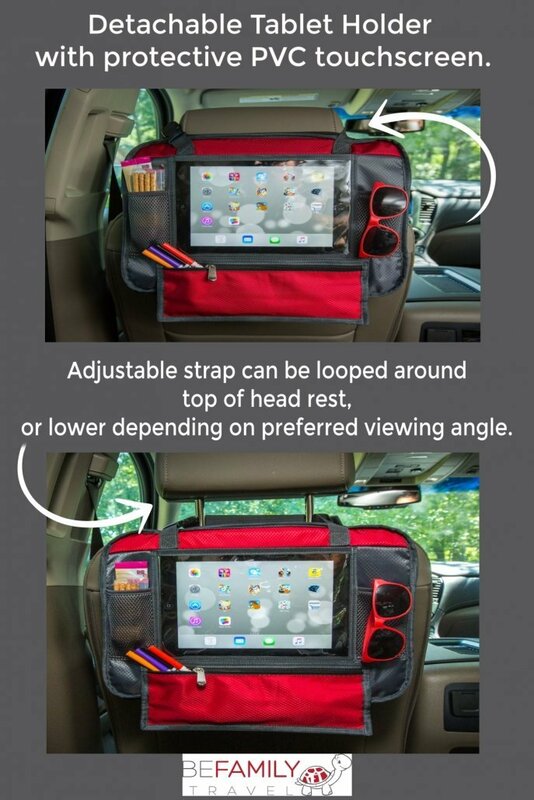 At first it appeared to be the perfect solution to our Back Seat dilemma. We LOVED the idea, but were quickly dismayed by practicality of the travel trays being offered. Lots were flimsy and smelled awful. Most had to be unloaded, due to the pockets snapping on the back, to be carried from the car back inside again. Therefore we could not find one SINGLE kids travel lap tray that worked like we thought it would. These trays actually made life harder, until. 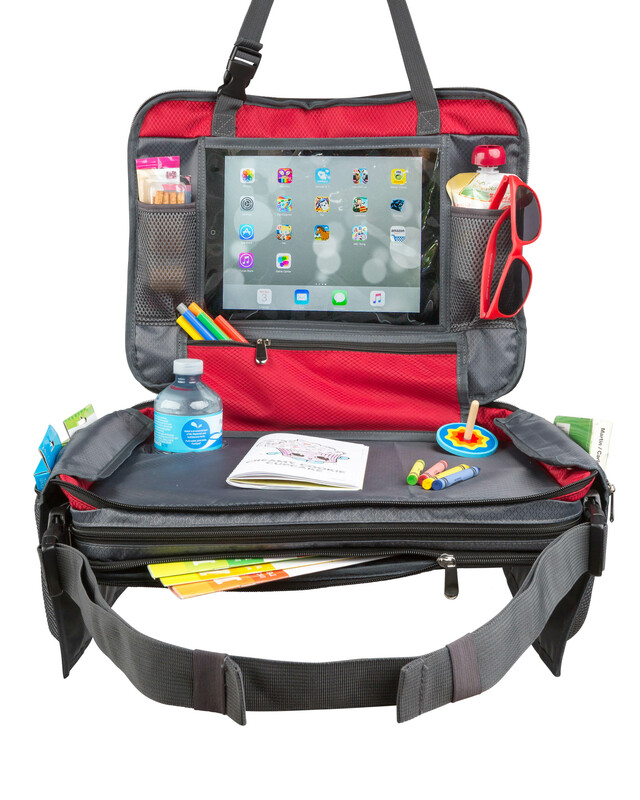 Kids Travel Tray to Messenger Bag in Seconds will simplify family travel. We set out to create a quality product, that our kids would love to use and that was practical and durable. This mission is what led us to create the BE FAMILY Travel Tray. 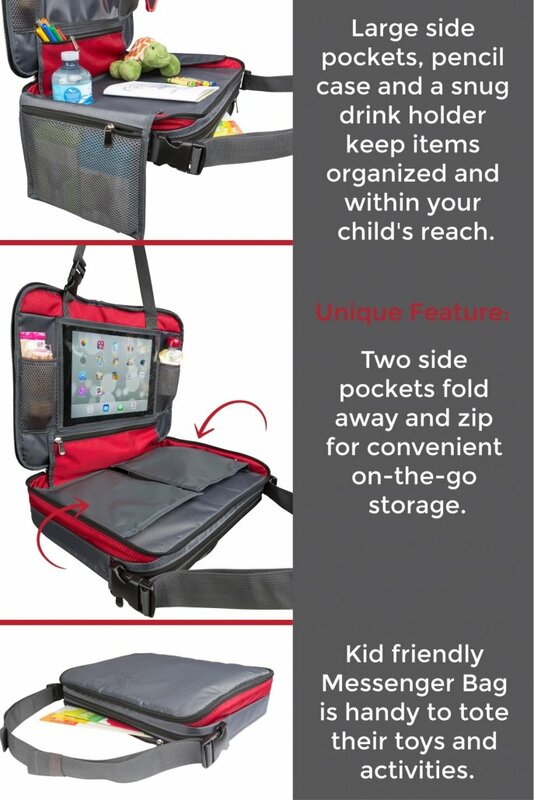 A messenger bag with enough pockets and storage for all your kid’s activities. One that converts to a real Snack and Play tray in 3 easy steps. Best of all when your ready to leave the car it just folds right up. 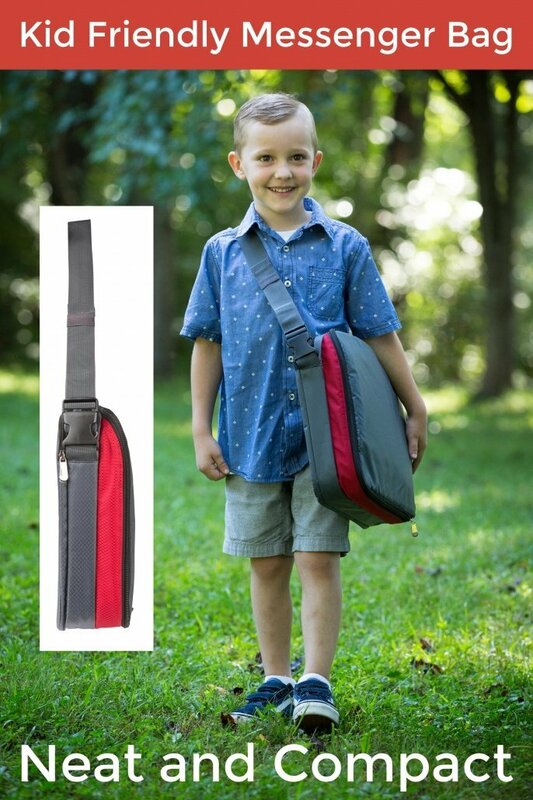 It easily goes right back to be a stylish messenger bag, that your child will adore and love to carry. The other kids travel trays make you snap the pockets on the back of the bag, which require you to unload the entire tray before it will zip up. 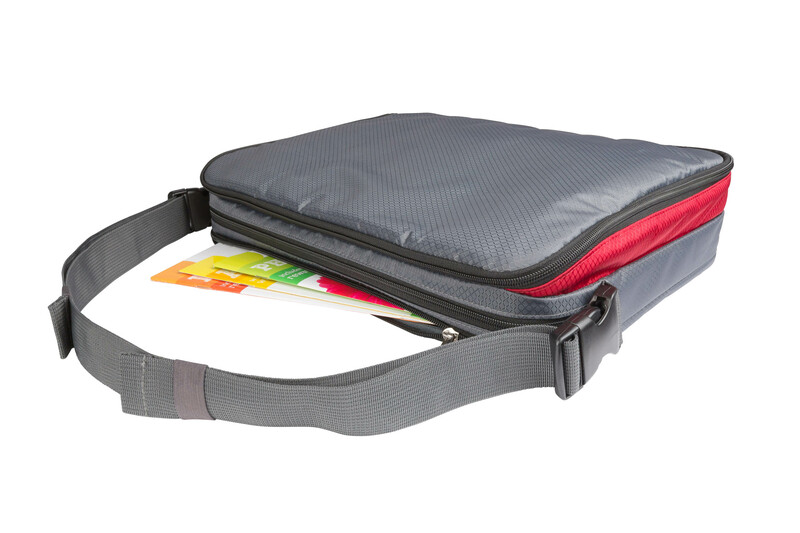 So we created BE FAMILY Travel Trays to feature the unique design of easy fold-in side pouches that zip to secure the contents. 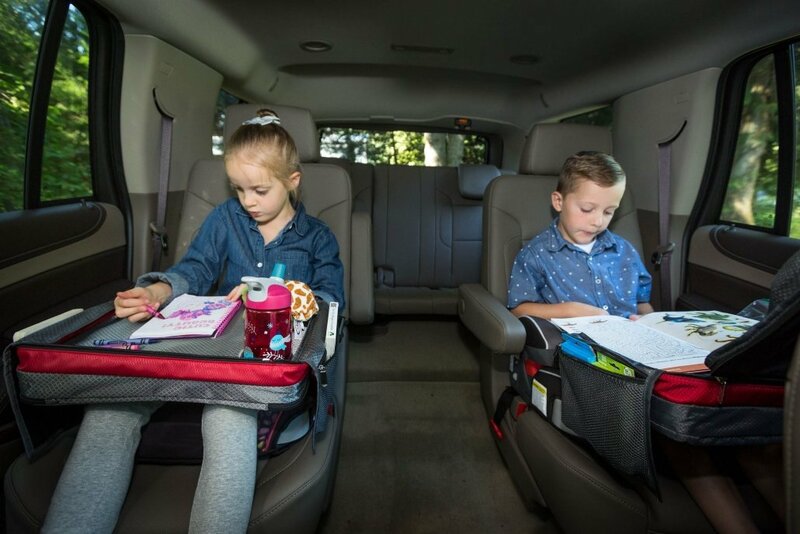 Happy kids in the back seat is one way to simplify family travel. Kids Travel Tray Organized and Easily Accessible to simplify family travel. 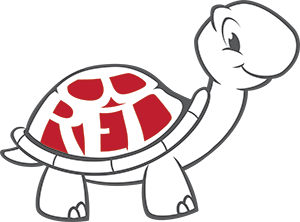 We are parents creating products to help end the “are we there yet” boredom and organize your back-seat for good. 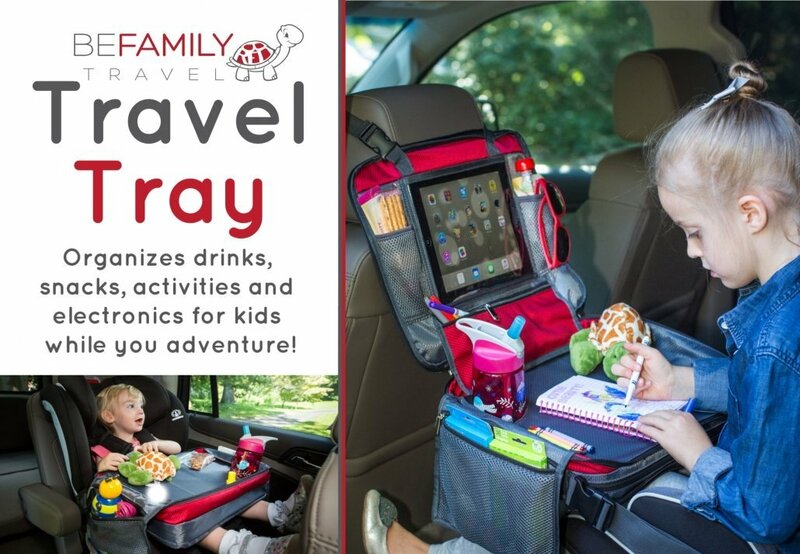 BE FAMILY Travel Trays will keep the kids activities organized and easy to reach. We know parents want products that simplify family travel. They must be durable, easy to clean, and help make our hectic lives easier. Therefore, we stand behind all our BE FAMILY Travel Products with a lifetime guarantee. We pride ourselves on always being available to help you make your next trip across the country, or across town more peaceful so you can create more lasting memories for your family. Finally – a kids travel tray that has everything to simplify family travel.